Please see the manual for supported resolutions when using different combinations of displays (up to three external displays). 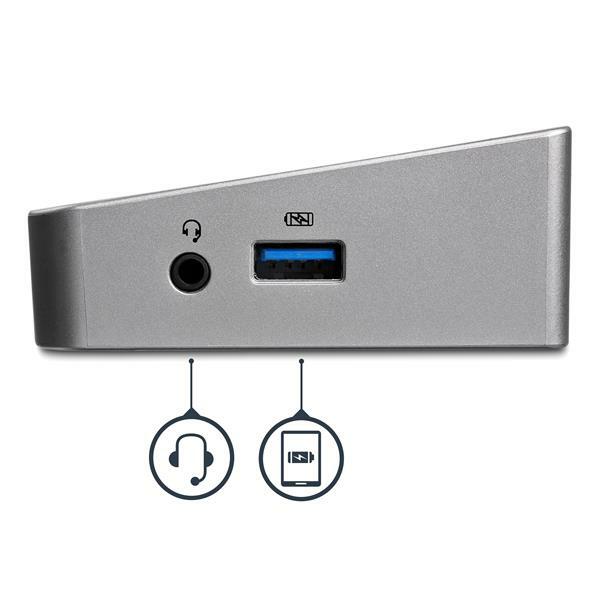 Used this to connect to 2 HDMI resolution monitors via DisplayPort, and run the Mac with the lid closed. Hub also links to webcam, and wired LAN. Set up with magic keyboard and mouse. 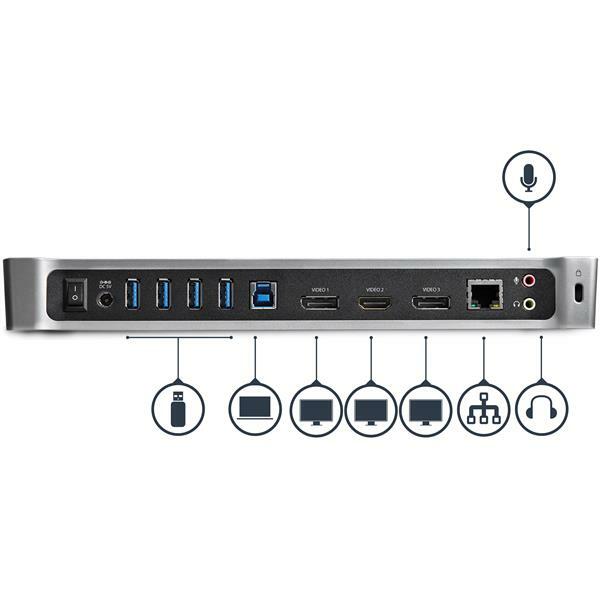 Hub powers the Mac, so great integrated solution. Make sure to download the latest drivers from DPLink if connecting to display post. Bought the docking station a few years back and it worked great until.... I updated my Mac. Currently my external mouse and keyboard work, but the external monitor stopped sharing the screen. Very disappointed there has not been an updated driver to fix the issue. 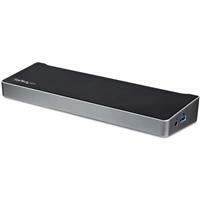 Thank you for your review of USB3DOCKH2DP. We're sorry it stopped working after you updated macOS! This dock is compatible with macOS 10.8 - 10.12, and macOS 10.14. Unfortunately, due to a compatibility issue, it will not generate displays in macOS 10.13 (High Sierra). If you are using macOS 10.13, we recommend upgrading to macOS 10.14. Feel free to contact our Technical Advisors at www.startech.com/support if you would like further help or have any questions. We're available 24 hours a day, 5 days a week, to provide support. Works great with High resolution screens. Easy with a USB3 switch. Switch all in ones. This device does not work with any Mac OS 10.13.4 and above. 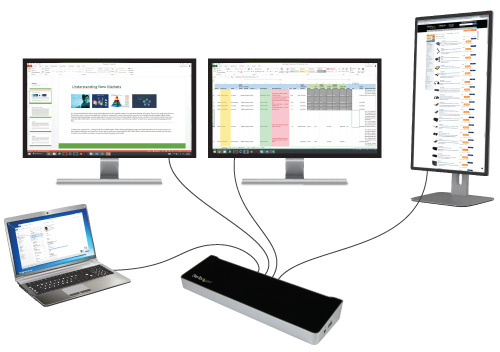 In addition, the mouse and keyboard flickers/lags when the USB receiver is connected to the docking station when using a Lenovo Thinkpad X1 Carbon Gen 4. Thanks for sharing your feedback; we certainly understand your frustration. On our website, we currently list support for up to macOS 10.13.3. Unfortunately, in macOS 10.13.4 to 10.13.6, only 1 extended display will function using a beta driver from the chipset manufacturer, DisplayLink. We apologize that there is no better solution available at this time. However, we do not expect the performance issues you're describing with your Lenovo Thinkpad X1 Carbon. 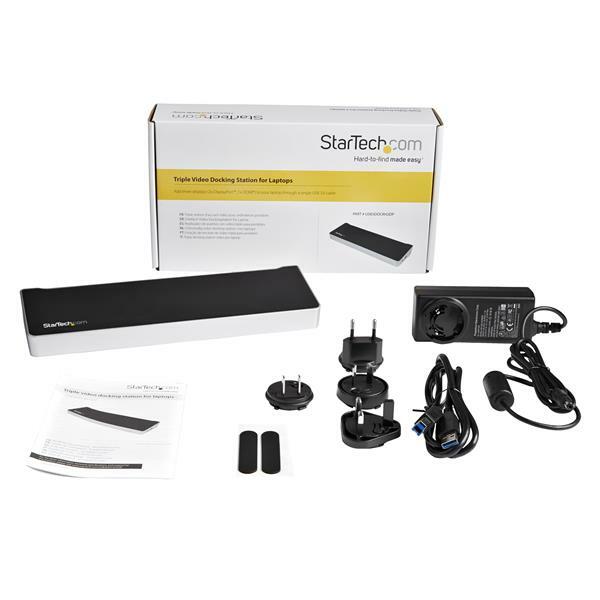 We suggest reaching out to our Technical Advisors at www.startech.com/support for troubleshooting assistance. We're available 24 hours a day, 5 days a week, to provide support. I have been wanting to expand the view field of my MAC Mini. This made is so easy to set up my 3 monitor view. Thank you!! I bought a couple of weeks ago, worked flawlessly out the box after drivers installed, I used the three displays, plus my laptop screen, in addition to the hdmi out on my laptop for a total of 5 displays!!! Absolutely awesome!! 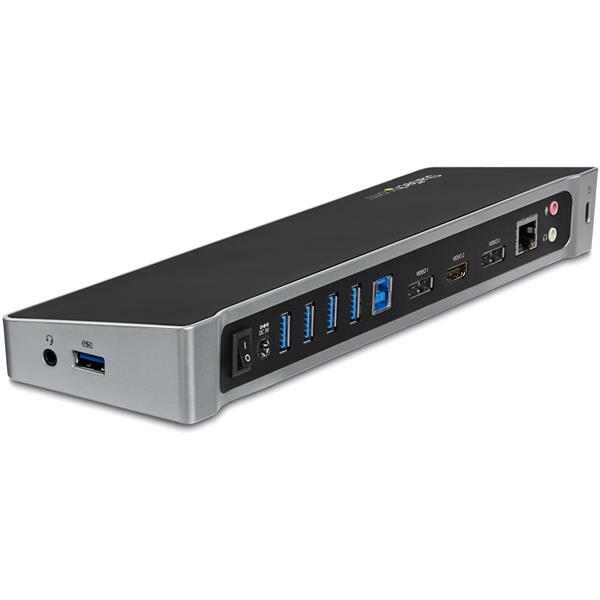 I bought this to run a MacBook Air with dual HP 23" monitors using displayport cables. This is the only USB 3 - dual displayport dock i could find that was declared compatible with the latest versions of OSX. The network and additional USB ports are a bonus and also worked properly. I had already installed the displaylink driver on the Air, so when I plugged in the dock it was basically plug and play. The Air recognized two separate monitors immediately and put them to work. Obviously you are limited by the configuration options on the Air, and the extra graphics load on the computer will slow things down if you try to work it too hard. The specs from Apple says that the Air is only capable of running one external monitor at native resolution, but this dock is an easy way to go past that as long as you are not trying to work the computer too hard. Overall, this is a perfect option for docking a Mac.